Yes, I used this on my last R1200RT exhaust pipes. It is acid based for use on stainless steel & titanium. It worked remarkably well & restored the pipes to as new condition. Great stuff! Thanks for that, Does it last a reasonable time and do you still use it. I wonder if mine are chrome. They are discolouring. Is this not suitable for chrome pipes? 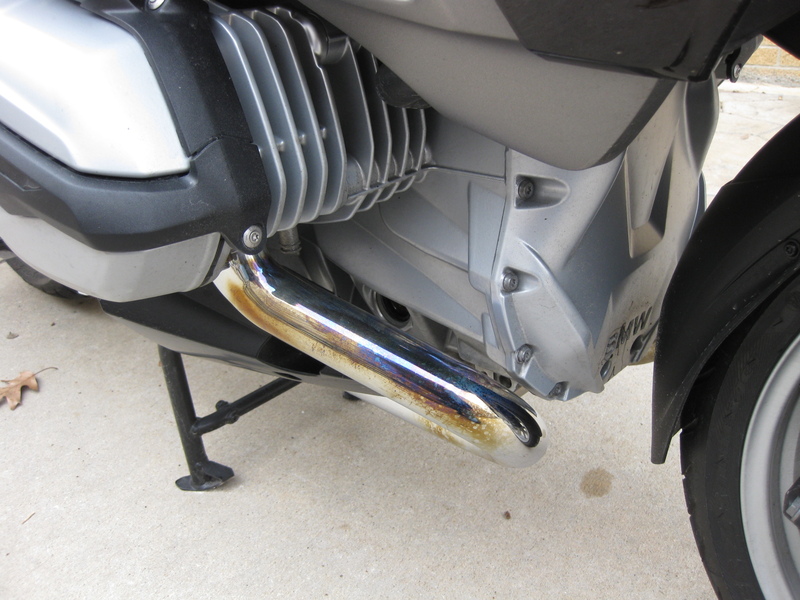 My understanding is that the stainless exhaust goes brown, and the chromed exhaust goes blue/purple. 2016 R1200RT, these look like chrome. This guy used some #0000 grade steel wool & Blue Away. Is that chrome on stainless steel ? Is that chrome on stainless steel ? I would love to know the answer to this, since the chromed exhaust usually show rust pitting you would logically assume the the underlying metal is mild steel, stainless of course shouldn't show any sign of rust. There is different quality of stainless depending on chromium content. My old K100RS had stainless pipes but showed surface rust over winter storage. The other thing is when you clean off the blue, how long before its back. 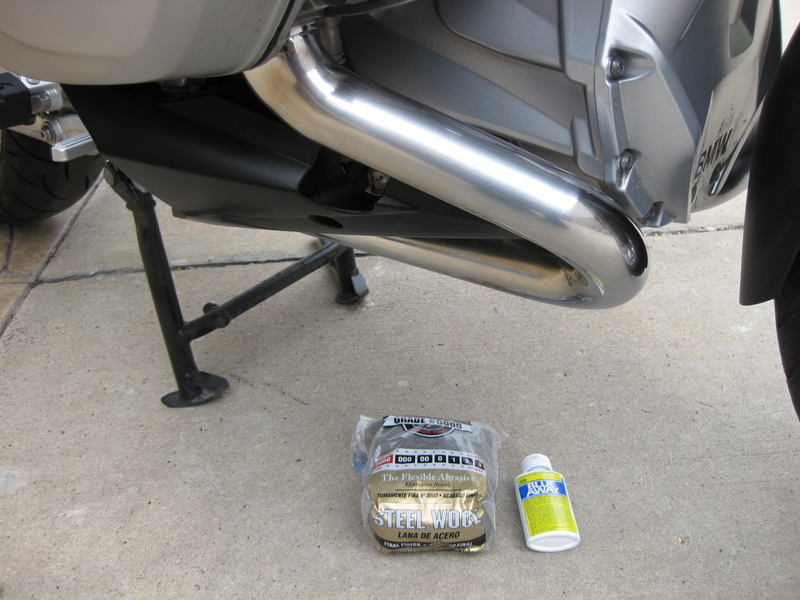 NEVER USE STEEL WOOL ON YOUR CHROME OR STAINLESS STEEL EXHAUST. It is a lazy man's route to disaster. It can ruin both materials. The reason we chrome is to put a barrier of other materials ON TOP of the steel (or stainless steel) to prevent corrosion (and make it look pretty). The moment you use steel wool, you are scouring (potentially) through the chrome and also laying the way open for dissimilar metal corrosion.